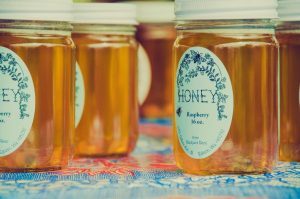 Lately, there’s been a bit of buzz around the health benefits of honey. And yes, it is pretty sweet, but, is honey the bee’s knees or just a sticky mess? Before you start lathering it on your toast, we’ll help you comb through the facts to answer the question, is honey healthy? Honey = sugar + water + some vitamins, minerals and antioxidants. 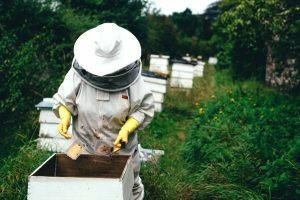 What are the supposed health benefits of honey? But, how much sugar is in honey? 80% of honey is sugar. Most of this sugar is in the form of glucose and fructose which are fast absorbing sugars that cause your blood glucose levels to rise rapidly. Not what you want if you’re trying to keep your blood sugar’s stable. What about the good stuff that’s in honey? If it’s got good stuff, is honey healthy? The extra vitamins and minerals in honey only make up a mere 2% of the total volume. So, although there is a bit of good stuff, it’s not a lot of what you want. And, just because it contains healthy stuff, it doesn’t just cancel out the sugar. If you’re after vitamins and minerals, there’s better ways to get it. If you wanted Vitamin C, would drinking a glass of vodka with freshly squeezed orange juice be the best way to get it? Are all honeys created equal? Definitely not! Most commercial honey you buy at the store has been pasteurized and refined so it might not even have any of that extra goodness in it. What’s more, during winter, commercial bees are often fed sugar or high fructose corn syrup so they can keep producing honey despite the fact there’s no flowers and no nectar. So, the raw ingredient that bees are using to make that delicious honey can be just what you were trying to avoid in the first place, sugar! 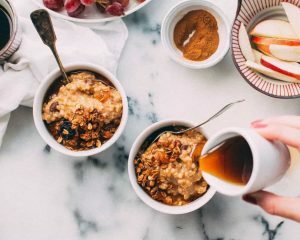 How do I pick a healthier honey? Avoid blended honey or anything that’s been produced in more than one country. Instead, choose raw, darker, organic honey that’s naturally produced. 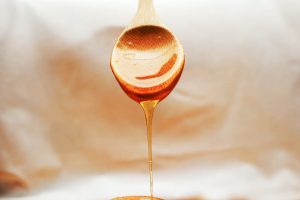 So, is honey healthy and better than sugar? At the end of the day, regardless of any added ‘goodness’, honey is essentially sugar. And, just like anything that’s sweet, it’s best not to overdo it. Use it sparingly and look to get those other valuable nutrients from less sugary food sources.